Let’s talk about shaking and stirring for a minute. Shaking is a better way of emulsifying different kinds of liquids. 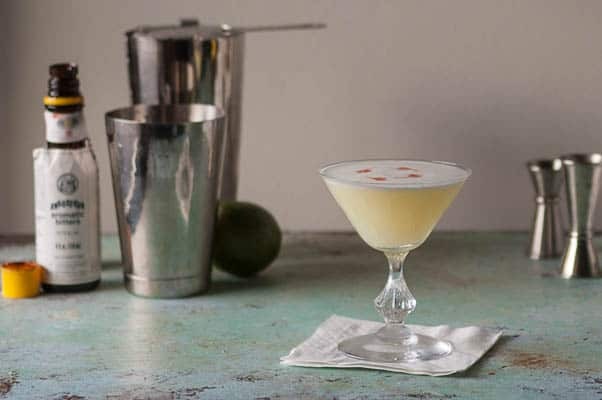 Usually, cocktails that include citrus or muddled herbs or fruit or pretty much any non-alcoholic ingredients are shaken. The agitation creates air bubbles and chips bits off the ice. The drinks are usually a cloudy mix of the colors involved and they contain tiny chips of ice. These are the fruity, citrusy, fresh-herb and frothed egg white kind of drinks. Stirred drinks, on the other hand, contain only spirits (except for garnishes). Stirring is sufficient to combine and chill these ingredients without working everything into a lather. The drinks are boozy (or spirit forward) and crystal clear. They don’t get quite as diluted as shaken drinks, and they feel perfectly smooth (except for the hit of alcohol) on the tongue. Lately, I’ve been spending most of my time with the stirred category. So what happens if you, like James Bond, opt to shake a drink that would traditionally be stirred? Well, you get a similar drink that’s a bit more diluted, cloudier, and has tiny ice chips in it. But I do love shaken drinks, too. And the pisco sour is a classic one. 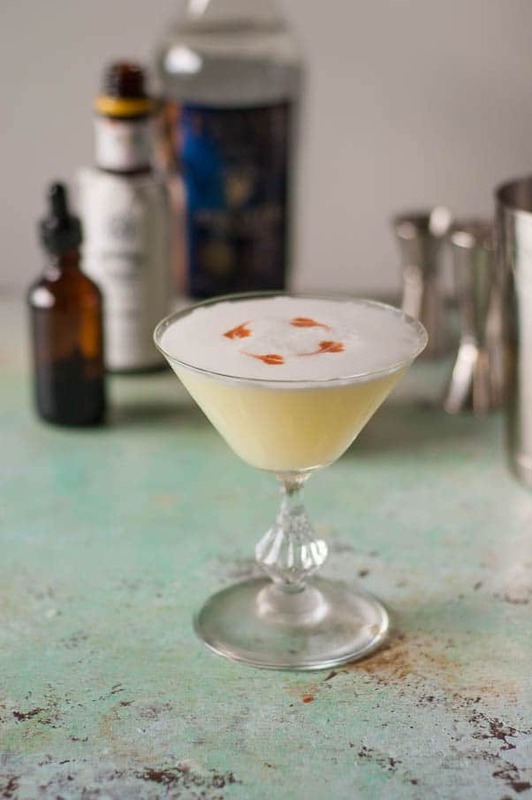 Pisco is a brandy distilled from grapes that’s traditionally made in Peru and Chile. It has a complex, floral taste distinct from other base spirits. 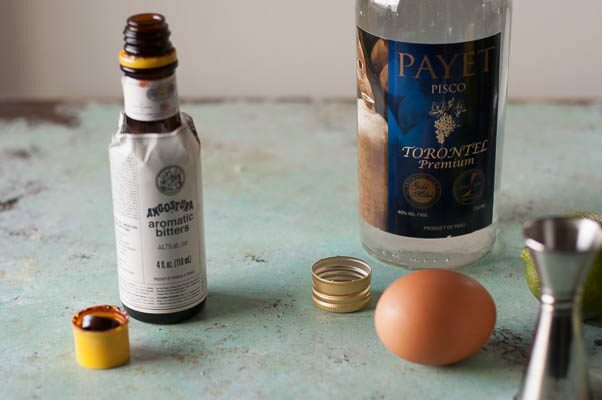 When combined with lime juice, simple syrup, and frothy egg white and dotted with Angostura or the more traditional if harder to find Amargo Chuncho bitters, it’s a creamy, puckery delight. This is a drink that absolutely needs to be shaken, because you aren’t going to get that frothy egg white by stirring. The frothy egg white is accomplished by something called a dry shake, which just means you shake the ingredients in a cocktail shaker for a while before adding the ice. How long you shake depends on how much froth you want. I usually dry shake for about 20 seconds and then add the ice and shake for another 20–some people say 10 seconds is sufficient–you can try both ways and see what you prefer. The only other tricky part of making this drink is getting those little swoops of bitters on top. You can simply add a few dashes of bitters on the top if you don’t want to bother. Everything will still taste the same. But if you want to gild the lily, you’ll need an eye dropper and a toothpick. Then you carefully drop four drops around the top of the drink and drag a toothpick through the middle to create the swooping tale. It’s a lovely little drink. 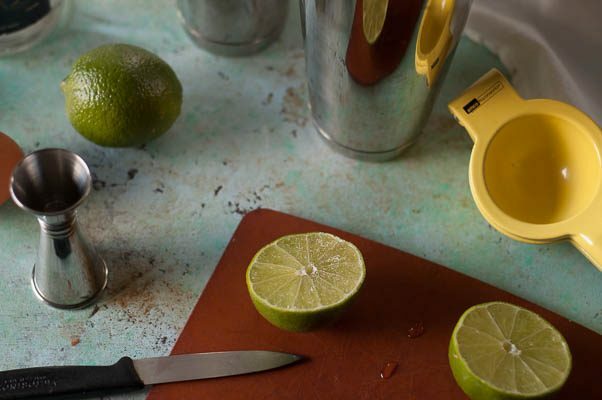 This drink is frequently made with lemons or limes. I prefer limes here. 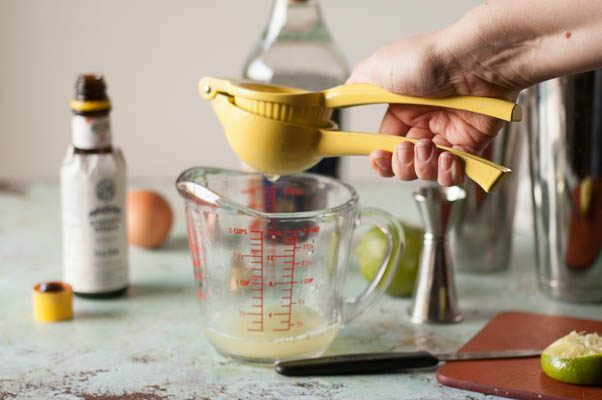 If you’re nervous about using raw egg white, you can always go with pasteurized eggs. The texture here is light and frothy and foamy, a bit like meringue. 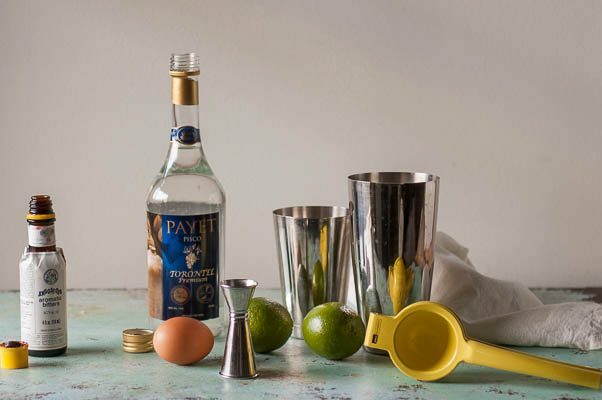 Some people make this with 3 ounces of pisco, but I think that’s too much. I’ve opted for 2 ounces here, which makes a balance I prefer, but you can do what you like. 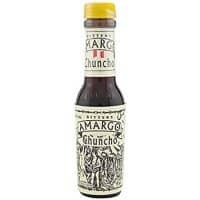 I’ve always made this with Angostura bitters, because I always have those on hand, but Amargo Chuncho bitters are more traditional. You could also go with your favorite variety of aromatic bitters if you’re the kind of person who has a favorite variety of aromatic bitters. A bartender once told me that women prefer tart cocktails while men sweet. I think this one’s really elegant. Enjoy learning something new everyday. To shake or stir. Now I know. Thanks, Candy! Glad I could help. OMG – I would love one of these right about now!! My first Pisco Sour was in an outdoor restaurant in Cusco, Peru with a little boy standing in front of me begging for a piece of the pizza my husband and I had ordered. It was just past sunset and there were stray cats and dogs everywhere. You could see the artisans packing up their crafts and IIama goods. We discussed our trip to Machu Pichu we would be taking the next day. Thanks for the great memory. What a lovely memory! That must have been an amazing trip. I’ve never been to Peru, but I’d love to go someday. Thanks, Sarah! I hope they like it (and that they make one for you). I’ve never heard of this drink before. It sounds like something my husband would love. Thanks! 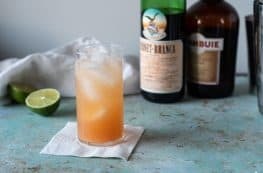 I just spent a few weeks in Peru and am already craving this tasty drink, so I can’t wait to make it! And my last name is Bond so…shaken all the way. Then this is so your drink, lady! Yummy and appealing to the eye! I am always looking for new things to try. Thanks!